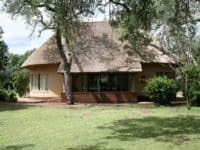 The Kruger National Park is world renowned for its vast savannahs and incredible biodiversity with large herds of plains game and high numbers of predator species. 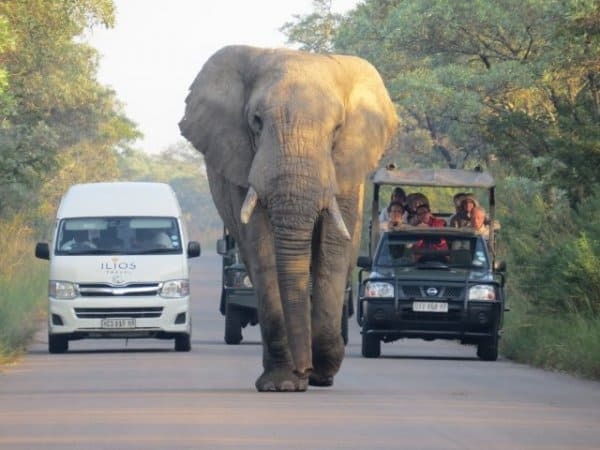 You will explore this rich African reserve in an open safari vehicle over five days with opportunity to see the “Big 5” of Africa as well as a vast variety of bird and smaller animal species. Your experienced guide will explain the habits and interesting behaviour of animals on daily morning and afternoon drives. Included in this package is a night drive to find the less seen nocturnal cat species and other rare animals like the porcupine, aardvark or owls. You will have the opportunity to do a morning guided morning walk with a park ranger to see animals on foot, an experience not to be missed. Blyde River Canyon The Blyde River Canyon is the third largest canyon in the world (now renamed Molatse River Canyon). It is within the Blyde River Nature Reserve. The 29 000 hectare Blyde River Nature Reserve rests against the Greater Drakensberg escarpment and preserves not only the canyon but other natural wonders of Mpumalanga.The beautiful Panorama route offers magnificent landscapes and scenic landmarks like Three Rondawels, Bourke’s Luck Potholes, Lisbon Falls, Wonder View, God’s Window and the Pinnacle. Game Animals exposed, fabulous photos, wild walks and bright-plumed birds. South Africa is globally renowned for its phenomenal game viewing and sound conservation ethics. Nowhere is this more apparent than in the iconic Kruger National Park, where 147 species of mammals – more than any other African wildlife area – exist alongside 517 bird species, 114 different types of reptile (there are 3 000 Nile crocodiles), 33 species of amphibian and 50 kinds of fish. Birds The Kruger Lowveld region has some of the most diverse habitats in South Africa and boasts an impressive bird list of close to 600 species. With some significant altitudinal differences of around 1800m over a relatively short distance one can spend the morning birding the escarpment with its Afro-montane forest habitats and spend the afternoon seeking out the species which prefer the lower altitudes of the Lowveld. Clients can request less or more time on drives depending on their preference. 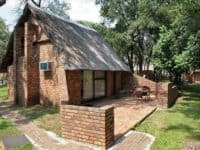 You will be accommodated in chalets in SANParks Restcamps. It will normally be two camps and depends on availability. For safaris from Nelspruit and back the options are Skukuza, Berg-en-Dal, Pretoriuskop, Lower Sabie and Crockodile Bridge. If your safari started in Nelspruit and ends in Hoedspruit the choices are Skukuza, Satara, Orpen and Olifants. Alternatively you can add attractions in the vicinity to your program-before or after the safari. 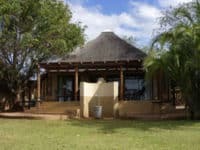 We can recommend a number of interesting options and can assist with bookings to compliment your Kruger Park Safari. The costs of these options are available on request. Fly to OR Tambo International Airport. From there an internal flight to Hoedpruit or Nelspruit or we can arrange a transfer from Johannesburg or you can self-drive. Kruger Park Safari is a unique wildlife experience.